The first appartment is situated on the second floor and is made up out of one large well-lit room-en-suite (twice 4 by 5 metres) and has it's own private bathroom. There are windows facing both the streetside and garden. 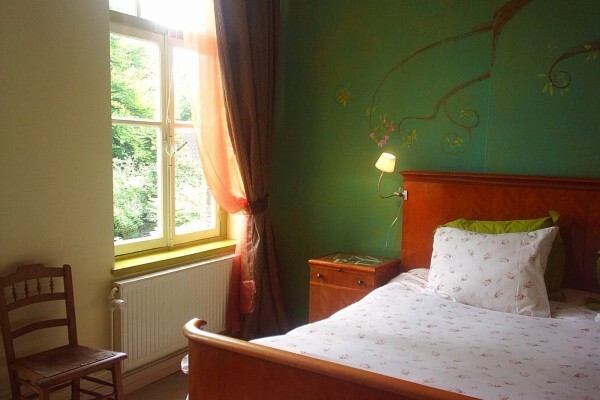 The backroom has been completely refurbished with an ancient bed (2 by 2 metres) and a large antique closet. The living's inventory include's a table with four chairs and a comfortable sleeping couch. There's a small south-facing balcony with an spectacular view of the park opposite the house. 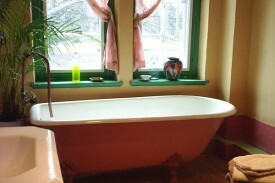 Next to a seperate shower, the bathroom also includes a large ancient Cleopatra-style bath on lion's feet. The lavatory's just down the hall. The second appartment is located on the third floor. 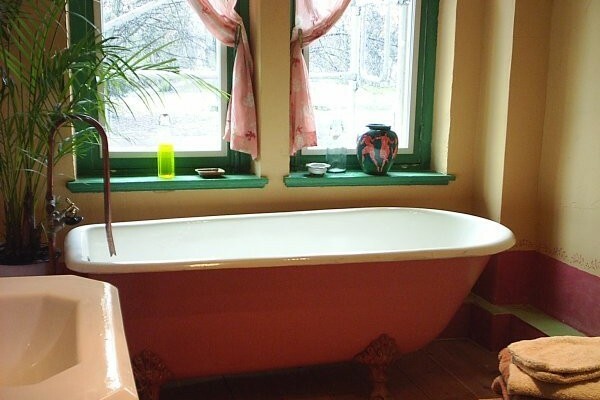 It consists of one huge 5 by 8 metres four-windowed room, a seperate bathroom including a bathtubb, toilet and a seperate shower. Adjacent the bathroom's a small room where there's a small refrigerator and some cooking gear, including a water boiler and a small oven. This appartment offers you the best privacy! Do you want no breakfast? Then you pay €5 less per person per night. NB: Reservations in the weekend only for at least two nights. Last minute (in the week before the weekend) also for one night. Breakfast consists of fresh baked buns, croissants, sugar- or raisinbread. Orangejuice, different kinds of sweet and savoury filling and a boiled egg. You can take breakfast at your own time, in the room. If you whish you can lent my two folding bikes (trademark Brompton). When you take your dog with you the totalprice of your stay will be raised with 5 euro, because of extra cleaning. You are not allowed to smoke in the rooms, but you can smoke on the balcony. Not so easy because of the stairs. No experiences yet with Piekel's B&B. Be the first! 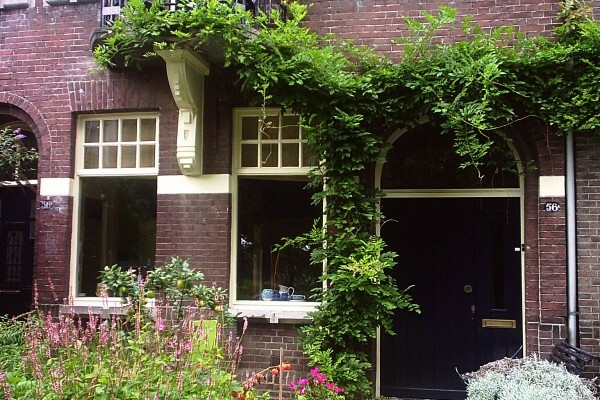 Did you stay in Piekel's B&B? Let us know what you thought about it and help others to make the right choice! * I confirm having stayed in Piekel's B&B.